And A Player To Be Named Later: Why Can Notre Dame Still Recruit? Why Can Notre Dame Still Recruit? Can someone please explain the siren call Notre Dame football has over recruits? Sure, way back when, The Fighting Irish ruled the college football world. They won championships, had Heisman winners and possessed a mystique that few colleges could possess. But, heck. That time was long, long ago. Frankly, when it comes to challenging for a BCS title, the Fighting Irish are irrelevant. Annually overrated and irrelevant. Oh sure, they always seem to be part of the conversation. They have the T.V. rights; they seem to always have some buzz about them. Commentators always seem to feel that this year, “they are back.” But the truth reveals itself on the field. On the field, they don’t matter. They haven’t won a title since 1988. Their last Heisman winner was in 1987. Since 1995, they have a grand total of 4 first round draft picks (the same amount Florida has done in the past 2 years and only 1 more than Marshall). The last few quarterbacks they put into the NFL have been Jimmy Clausen, Brady Quinn, Jarious Jackson and Rick Mirer. So what can they possibly offer a kid when recruiting him? Their history? Why would a kid care that they won 4 championships in the 1940s? And would he even know who Knute Rockne is? If Ohio State and Notre Dame are recruiting a kid, how can Notre Dame promise him anything that those other schools couldn’t? In fact, what could they promise a five-star recruit? Their recent record of mediocrity? Their recent Bowl record of 2 and 7, including revealing blowout loses to LSU and Oregon State? That they have had 1 first round draft pick since 2004 and it was Brady Quinn? And only 2 first round picks in the last decade? Yet the Fighting Irish keep recruiting. According to Rivals and Scout, Notre Dame has the 7th and 9th best recruiting classes respectively. According to Scout, Notre Dame has 4 of the Top 100 recruits, ahead of National Champions Auburn, and 4 5-star recruits, twice what Ohio State and Auburn have. National runner-up Oregon has none. On Rivals, Notre Dame has a better class than Ohio State, Oklahoma, Florida and Nebraska and a much better class than Virginia Tech (who last had a losing season in 1992—the last year they missed a bowl game). Amazingly, Notre Dame recruits year in and year out exceedingly well. 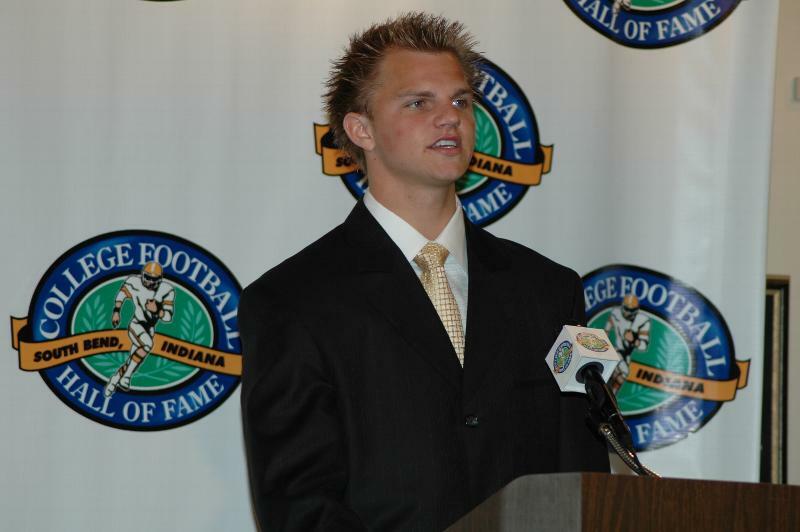 Jimmy Clausen was the number one prospect in the nation. How did that fare out? Meanwhile Sam Bradford was a middling recruit that Oklahoma’s staff turned him into a number one pick. 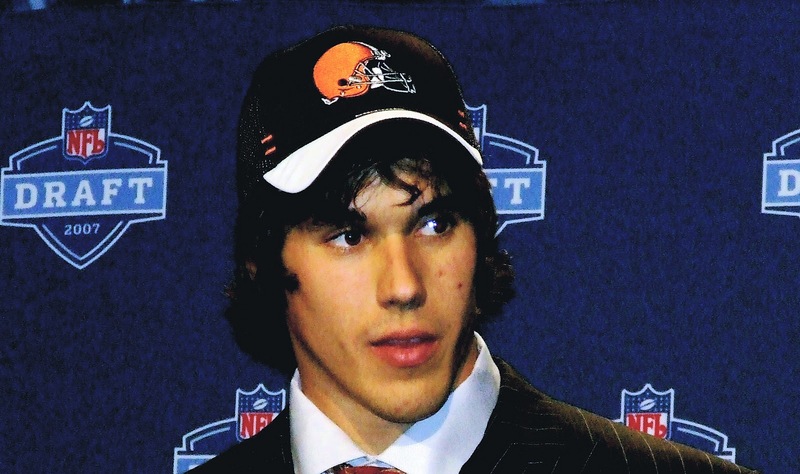 Brady Quinn was a high recruit—well ahead of Matt Ryan and Joe Flacco. How did that turn out? And heck, if a recruit wants an education as well as the ability to play football, go to Boston College (9 first rounders since 1995). Go to Northwestern (2 first rounders since 2003), Vanderbilt (2 first rounders since 2002) Cal (11 first rounders since 1995) or Stanford (Andrew Luck guaranteed first rounder if he had left this year). Some recruit specialists say that scouting sites over-rank Notre Dame recruits. Maybe. But what can they say about Ishaq Williams, a 2011 five star DE recruit, who chose Notre Dame over Florida, Ohio State, Oregon, and Penn State. Same goes for Stephon Tuitt, another 5-star recruit. Schools like Georgia, Auburn, Florida, Georgia Tech, LSU all offered Tuitt. Yet he went to Notre Dame. Why? I have no answer. If anyone out there can explain to me why a recruit would choose Notre Dame over LSU—a two-time BCS champion coached by Les Miles, or Florida or Auburn or Alabama or Ohio State—please let me know. I am honestly fascinated. Because when you say you're playing for Notre Dame, it's still something people perk their ears up at. It sounds really impressive. Little does the non-sports follower know. The general public equates Notre Dame with football. And even if they're not good now, I'm sure it's believed by most that they soon will be again. I live in Indiana and I'm a Purdue guy. Around here, if you move to Indiana from out of state, or if you are a person without reason to like any team in particular (like having a child who went to Ball State), you automatically become an IU basketball fan and a Notre Dame football fan. I don't really mind it too much, because I can't stand what I call "Boilerfakers". ND and IU seem to embrace those kind of fans, though, so I say have at it. And it does, however, make the Boilermakers an "underdog" to both, even when we have a better program that year. The only negative to the situation is the persecution you get for being a Purdue person, but there's a little bit of pride in that too. It's a special club. What's so great about Notre Dame that you forget to include in your article, is that ND is the only school that offers the whole package. Sure it offers a great education (which to answer your question could be reason enough for a recruit to pick ND over LSU), but unlike Northwestern or even Stanford, the great education comes with an unmatched exposure both in media (your family and friends wont have to purchase the Big Ten network to watch your games) and scheduling (while playing Youngstown State is fun for OSU every year, playing Army in Yankee Stadium is more appealing to others). Not to oversell the education aspect, but about 1% of college players play in the NFL, and the average NFL career is only 1 year. I currently work in a BCS school town and have had formal football players driving my cabs. Not to say anything bad about cab drivers, but a high school player should put focus on a meaningful degree over NFL aspirations. Lastly, while you casually mention ND's history as irrelevant, the fact is that the school maintains one of the farthest reaching and most dedicated fan bases in the country. Take Stanford for instance: while maintaining great academics and an impressive football resume the past few years, the fact is that the players on these teams will be remembered fondly by the Stanford faithful, and the country by and large will reflect nicely about Harbaugh's success there to prepare himself for the NFL before the program falls into mediocrity under the next coach and the program falls off the map. If players like Lynch and Tuitt help ND win a title, they will literally achieve legendary status among the Irish community, and that is a fairly unique offering. If you can't answer that question you certainly aren't a sports junkie when it comes to college football. Brian Kelly has done a great job of selling their history and their academics to kids this year. Also they have done a great job at selling to the decision makers. Sometimes that is the kid, sometimes that is the mom (see Stephon Tuitt). I have followed the entire Tuitt recruiting saga. The kid likes Georgia Tech more, but his mom really wants him to go to Notre Dame and she is the decision maker in this one. But truthfully, Notre Dame has always recruited well. Its just that Bob Davie, Ty Willingham, Charlie Weis couldn't develop the kids. I think Kelly is on the right track. In my opinion, the nationally televised home games, as well as the away games on national TV, make Notre Dame unique. The exposure alone is tempting. Another factor is the chance to play more quickly than at one of the powerhouse schools. Since ND has not been a top team in a while, the opportunity to get on the field exists, where at a Florida, Ohio State, or USC most players have to get in line. Matt Cassel never started at USC...what does that say? The academics are a plus, but for most top tier players that is a minor factor. If I'm Brian Kelly I walk into the living room of a top recruit and say the following: "you will be on national television every week and, since we're building our program, you have the opportunity to start. Oh yeah, this is one of the best universities in the country and if you were to get injured, our affluent alumni would take care of you." It is a pitch that no other school in the country can make. To me it is all about the TV exposure. They are on a nationally televised game every single week. Look at TCU they really started getting better recruits when they were playing all of those Thursday night games that no one else seemed to want. Why is Jeter Leading Off?